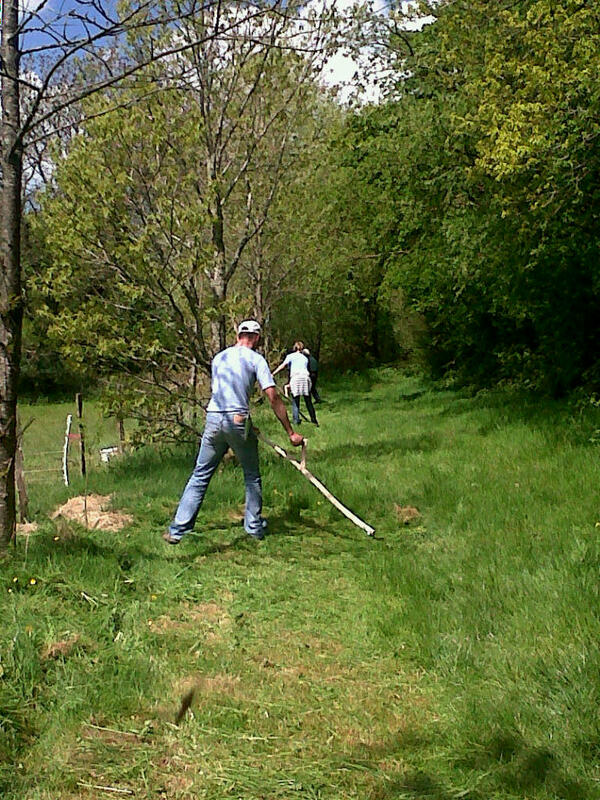 The first Introductory Scythe Course of the year was held on 25th May. 8 people joined us for a enjoyable and thankfully dry day. For a full report on the day see the Scythe Cymru website. Our next Introductory Scythe Course is on 23rd June. This entry was posted in Courses and tagged 2013, scythe course, Wales. Bookmark the permalink.